John N Tree Organic items are Global-Certified (Seed-Soil-Weed Control-Pest Control-Harvesting-Spinning-Knitting-Weaving-Sewing-Trading ) by an International certification Control Union. Toddlers get attached to dolls and stuffed animals.These toys teach them important skills. Children often express emotions and thoughts while playing with dolls that they might not be able to convey using words. Playing with these "friends" allows kids to explore their complex feelings. 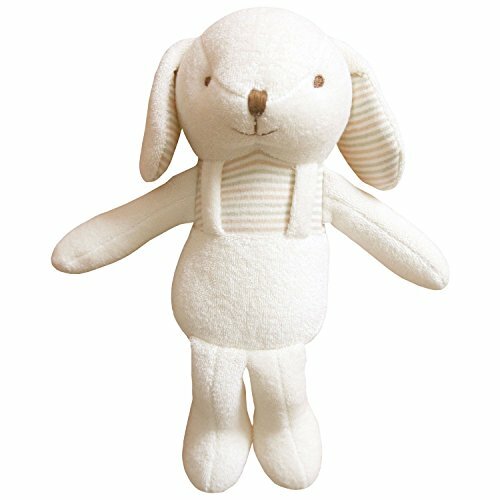 ❤ FIRST FRIENDS: Toddlers and Stuffed Animals -- Perfect Size to hug : Puppy ( Measures approximately 10 inches ) -- Toddlers get attached to dolls and stuffed animals.These toys teach them important skills. Children often express emotions and thoughts while playing with dolls that they might not be able to convey using words. Playing with these "friends" allows kids to explore their complex feelings. Dolls and stuffed animals can help toddlers cope with separation anxiety. If you have any questions about this product by JOHN N TREE Organic, contact us by completing and submitting the form below. If you are looking for a specif part number, please include it with your message.